Discounts Apply: £2 off each pack on 2 or more! Available only to genuine RETAILERS! The packaging comes with a 32mm Euroslot on the top which fits all common shop display racks. 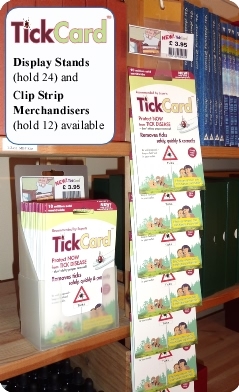 However, we can add a Display Stand which holds 24 cards or two Clip Strip Merchandiser which holds 12 each FREE of charge if you select it from menu below. For smaller packs of 12 click here. £2 off each pack on 2 or more!